In the preschool room we run a preschool program that is focused on preparing children for the transition to school. We are looking at developing the skills and confidence the children need to take on the exciting challenge of school. At Cardiff Child Care we cross reference what the child is learning at our preschool with the early school curriculum. We look at a wide range of categories and take note on how your child is progressing in those key areas, the child and the caregivers both put forward their thoughts and suggestions as well. This information is compiled and given to the child’s future school to ensure the smoothest of transitions. We have an in depth, holistic approach to school readiness program with weekly focuses. We run this program alongside school terms, with weekly (fun) homework to help children become confident and create a routine in preparation for primary school. We work closely with local primary schools, hosting information nights at the service and liaising with teachers to ensure we’re providing the best start for each child according to their future teachers. We encourage parent participation at the service and at home, with homework sheets that display children’s developing confidence and include families in their learning. We include a Jolly Phonics program to help children link sound, sight and creation of English letters. The school readiness program is non-compulsory and children and families are welcome to choose to participate at their own level. 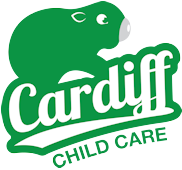 © by Cardiff Childcare Centre, all rights reserved • Designed and Hosted by Grimmel.